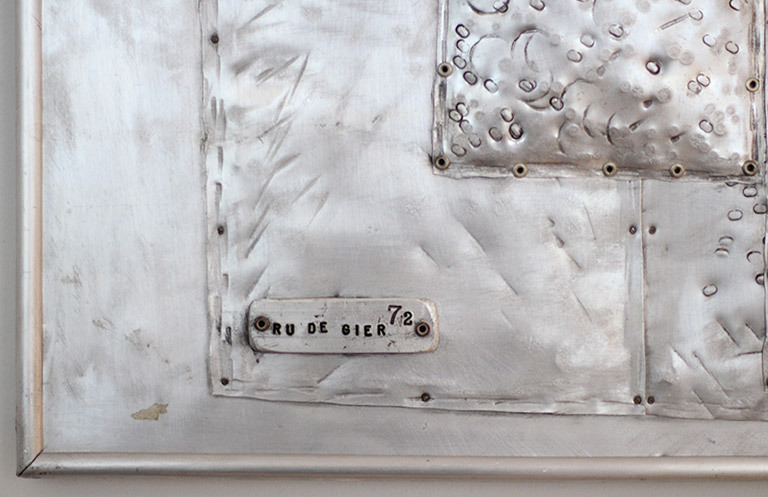 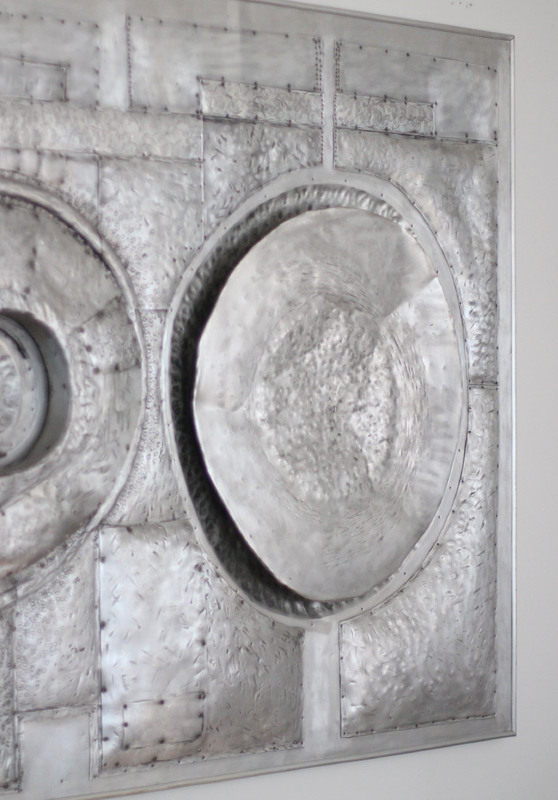 Stunning high relief aluminum wall panel from Dutch artist Ru de Gier made in 1972. 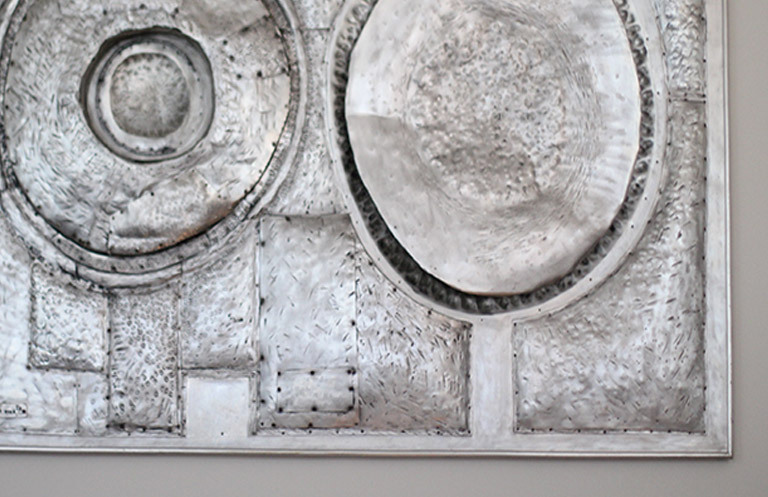 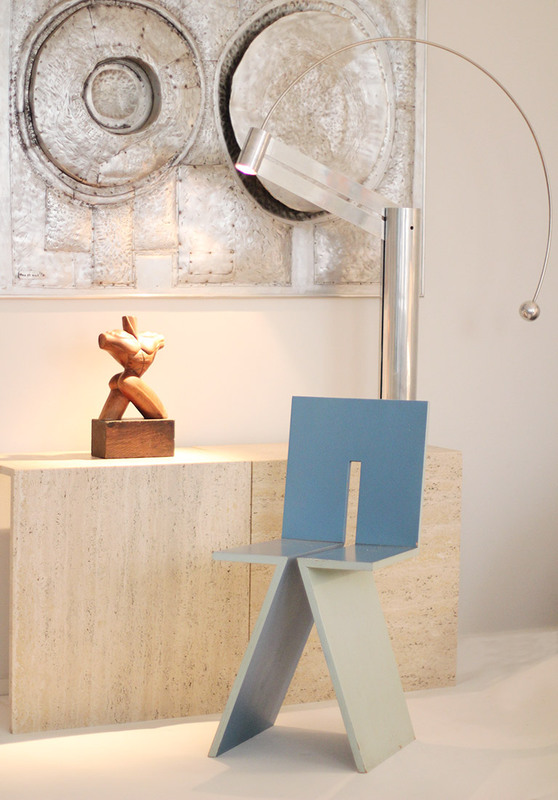 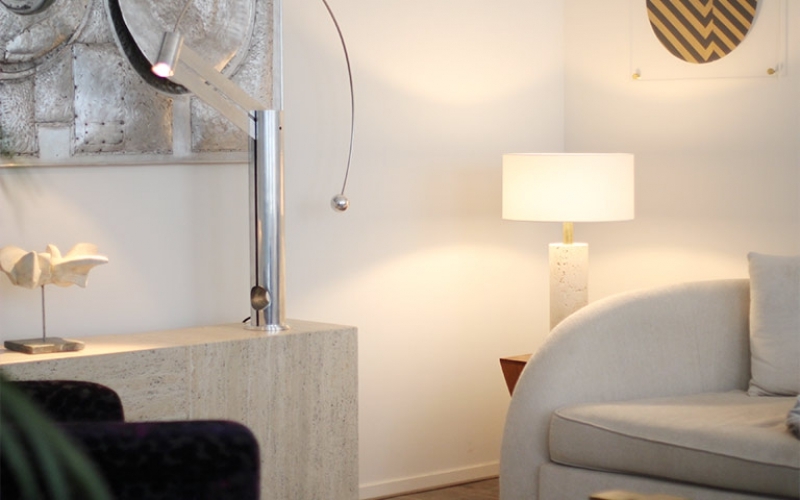 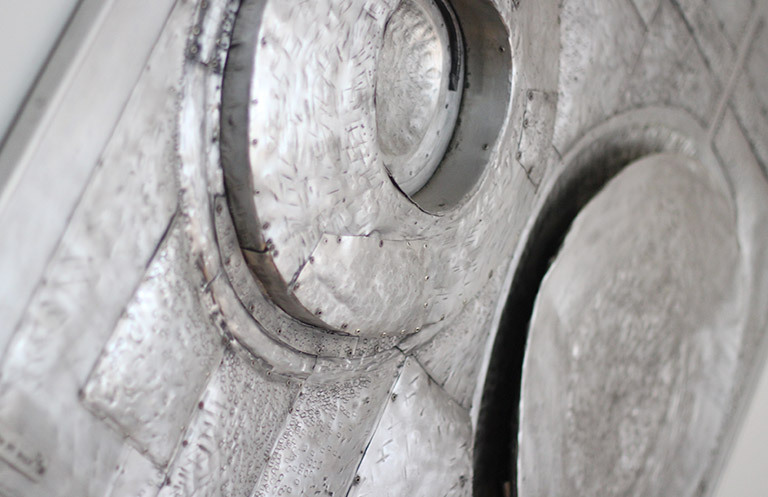 This one of a kind piece is made of overlapping hammered layers of aluminum sheet in the typical brutalist style. 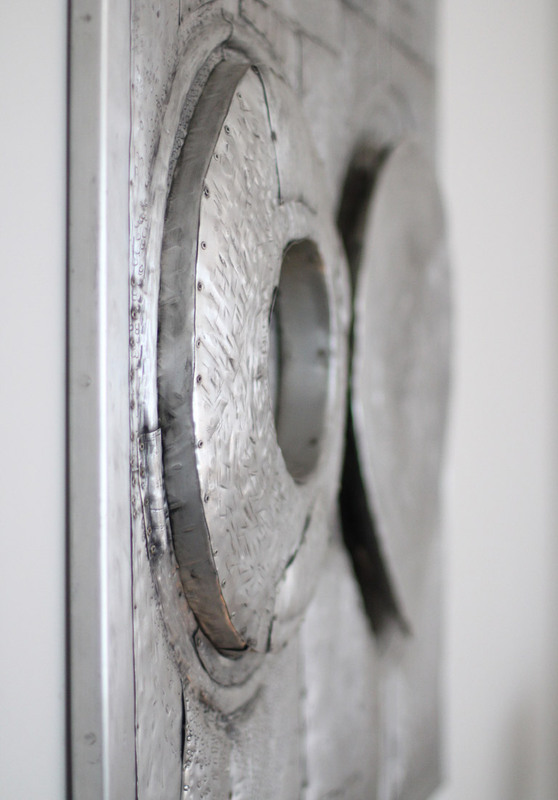 The art work is in excellent condition and is ready to be hung to your wall.